The Associate Press released an investigation into Google and Google Apps Track Your Location. This goes on even though when a user has set location history tracking to off. Location history simply stops storing location data to something known as the timeline, while the average user thinks they disabled the location tracking all together. In case you didn’t know it, Google apps that track your every move. Selling advertising space to other businesses is one of Google’s primary source of income. This occurs through a Google product called AdWords. Silicon Valley rival, Facebook, has been under fire lately for how much their tracking and profiteering invade people’s privacy. Facebook and Google both counter that users can shut off tracking. The reality is that many users don’t realize how extensive the tracking really is. 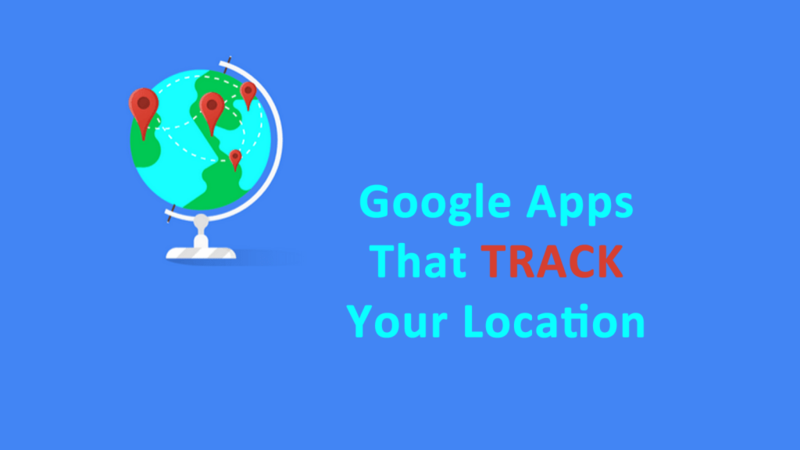 Google apps that track your location include Google Maps – the obvious one – but also Chrome browser and the not so obvious YouTube tracks location as well. According to Google, the confusion comes in over two settings. Location History is a setting that permits Google to store your every move to a creepy history of your location, known as your “timeline.” When Google services users go about their daily routines, Google tracks their location and stores it to a timeline. That location data is available to review on the user’s mobile devices and on laptops when a user’s is logged into a Google owned account, such as Gmail. An individual timeline is visible only to the user. Aggregate data, however, is anonymized, and made available to advertisers who are interested into connecting to certain demographics of people. The Google timeline is quite creepy and accurate. Timelines record where you were and when. If you were moving, it knows if you were walking, on a bike, riding a train, or in an automobile. It knows where you live and work. People who shut of Location History may think they are stopping all Google location tracking when in fact they are not. They are simply stopping Google from storing their information to the timeline. With Location History set to “off” location data is still tracked. To turn off all tracking a user must turn off Location History and “Web and App Activity.” This setting is on by default. The tracking carries on with both Android and iOS devices. Why Do Google Apps Track My Location? It’s the money! Google apps track your location because that information contributes to the profile building that can be sold to advertisers. Even Google needs to prove the value of their services to advertisers and tracking is the way that is accomplished. For example, let’s talk about and advertiser, like Home Depot, that has a brick-and-mortar location. If Home Depot buys adverts via AdWords that display on Google. com or on YouTube their marketing team wants to know if the adverts are worth them money. After that, they will want to know which adverts are paying off with the best ROI. When a business sells exclusively online, the tracking a fairly routine. A marketing team can accurately track a paid advert and determine which creative as well as which search phrases pay off best. When a business has physical stores like Home Dept does, then tracking becomes difficult. Couple that with a long purchase consideration phase and the tracking becomes more complex. Tracking a user’s decision-making process from the first time they see a Home Dept ad on YouTube until they walk into a store and buy a refrigerator with a youtube (yes, that us tracked to) is valuable information for both Google and the the advertiser.